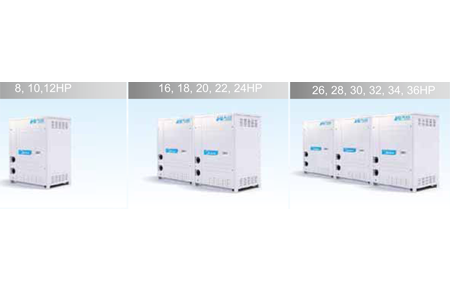 The main units capacity ranges from 8HP up to 36HP. 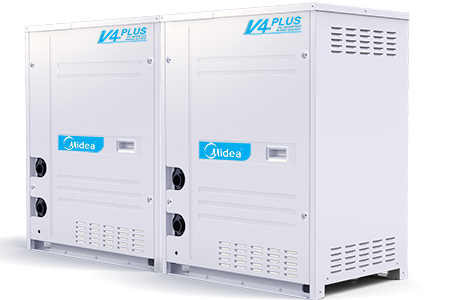 A maximum of 59 indoor units with capacity up to 130% of total outdoor units’ can be connected in one refrigeration system. 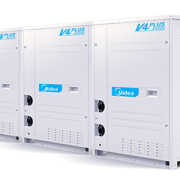 cooling towers / boilers, there are more water source options including river water, soil, solar energy, sea water, lake water, ground water, waste heat from production, sewage or waste water. 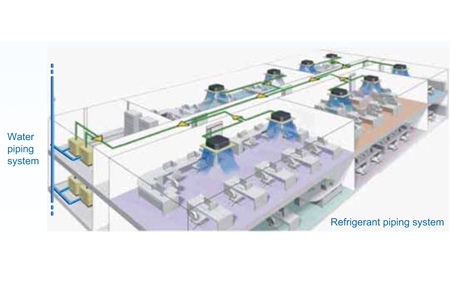 In the refrigerant piping system, total piping length can be extended up to 300m with a longest actual piping length of 120m and a level difference between indoor and main unit of 50m. 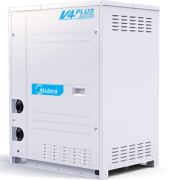 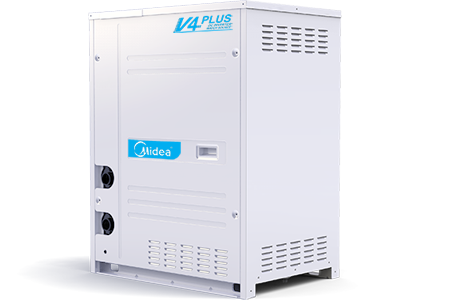 Midea V4 Plus W Series System combines water system and refrigerant system perfectly. 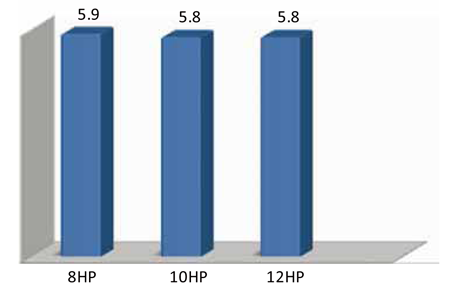 IPLV(C) reaches as high as 5.9. 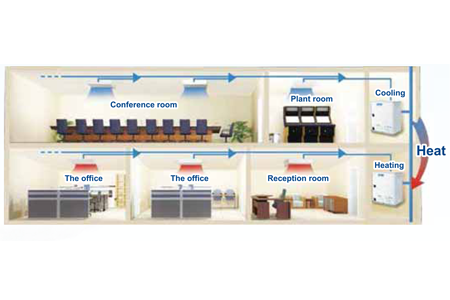 Compared with air-cooled VRF system, energy saving is higher. 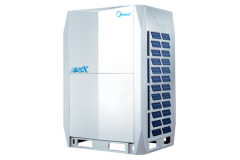 With the innovatively designed double-pipe heat exchanger, the water quality required is low. 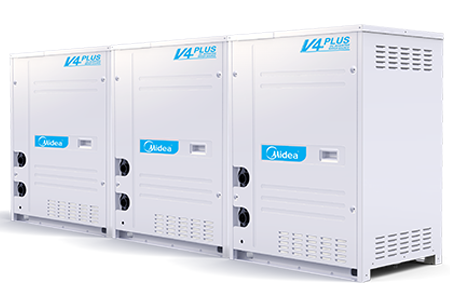 The water side has large circulation area, and it is not easily plugged, creating higher reliability and easier cleaning and maintenance. 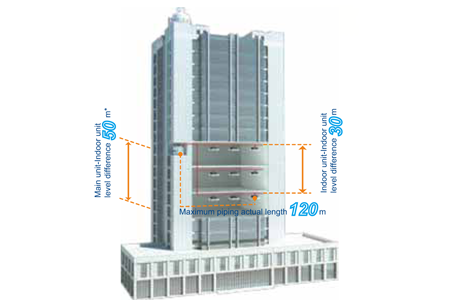 In modern large-scale buildings, the load between the internal and external areas is different. 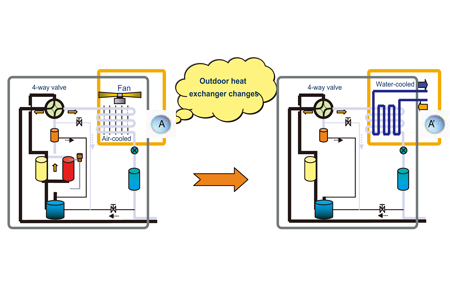 It may occur in some situations that both cooling and heating are required. 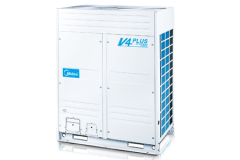 The V4 PLUS W Series not only can achieve meticulous system division in different areas but also can recover heat at the same time, significantly improving energy efficiency. 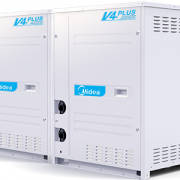 Outdoor units require no fan and are fully enclosed, greatly reducing noise levels. 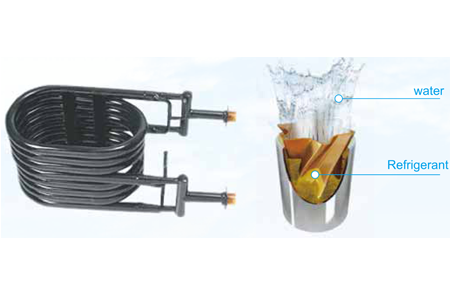 No water pipes installed indoors, no water leakage risks. 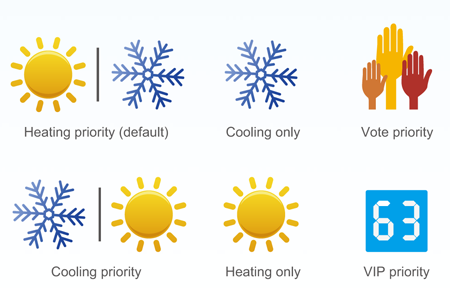 5 Priority Modes enhance convenience for users.